The interior design of a retail space is never left to chance: every aspect of the stores operation has to be considered and the clients design brief to that end is an important part of the design process. The successful outcome of a well design retail store will be improved sales, greater brand recognition and fantastic customer experience who will more often engage with the store through return visits and word of mouth advertising. In general, shopping complexes are evolving into places of entertainment for in the most part neighbourhood demography, but also increasingly for people who will travel to a destination to engage. The astute business within these establishments will try to attract and get through their door these customers not just as shoppers but as people looking to be entertained. 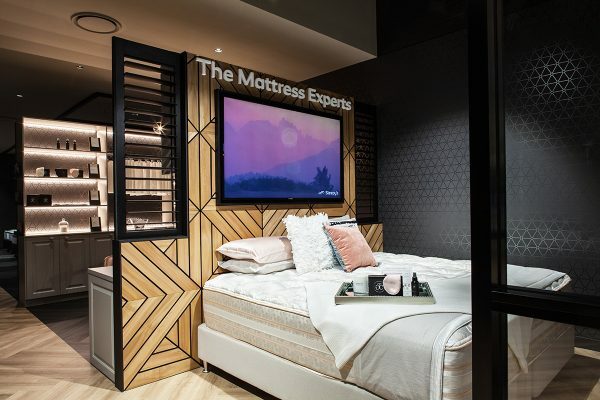 The unique design aesthetics of a store, and the innovative and eye-catching merchandising displays will entice these customers into the store. A good retail design can organise a store so customers will follow a predetermined path throughout the shop, maximising the exposure and likelihood of purchase of all the merchandise available to the consumers. 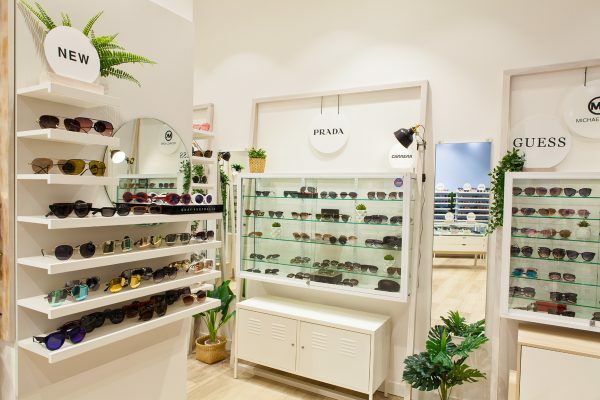 In other words, shops maximize the potential of their displays by arranging merchandise and presenting their brand in a way that they hope will attract the attention of their audience and perhaps, generate impulse sales. This is one of the many reasons why commercial interior design is so important for businesses across many industries. It is not only about sales: never underestimate the importance of brand appeal. A well-designed retail store is not only an amazing way to improve sales: it is also a proven way to increase the appeal of a brand. Branding is one of the most important concerns for any business, and it is not surprising that companies spend millions every year on advertising in order to improve their brand appeal and visibility in the market place. Commercial retail design can help you connect with the right type of people and even add strength to your brand and business appeal. At the end of the day, great Café design is a matter of clever commercial interior design, and it has to address a huge number of issues relating to demography of the area, demography of the intended customer, locality, other venues near or adjacent to the café etc. 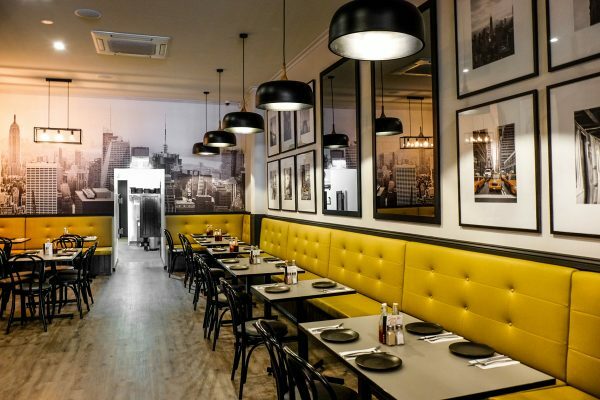 Further what is the business format for traffic flow, considerations have to be given to the space planning depending on if you operate a table service, as opposed to counter ordering system. Is there exterior seating, is the crowd a fast turnaround customer or a leisurely diner. Number of staffing and what their roles are within the café, distances they have to travel to perform their tasks. Customer engagement is also an important aspect of the café’s design. How you serve the customer and engage with them can make the end design result a success for the business. Read on to learn more about high-quality café design in order to enhance a café’s brand and offer a great experience tailored to the customers. Aesthetics: it’s about appealing to the right crowd. Some cafes are designed to bring back an old-world charm, to reflect a “farm-to-table” wholesome offering or to appeal to their consumers with a very natural and organic vibe. Other cafes on the other hand, often depending on location and the type of customer they would like to appeal to might have a very modern feel, often inspired by iconic modern design philosophies such as minimalism, Bauhaus and more. Also in terms of locality the interior design for the cafe can draw on some landmarks or particular features in that area it is situated to connect the café to the locals and neighbourhood. Comfort: do you want people to spend a lot of time in your coffee shop, or simply order and move on with the rest of their day? Again, this particular matter is deeply related to your specific situation. Some cafes are looking to create a comfortable environment where people can sit around for longer. Those in general are in more relaxed neighbourhoods away from the hustle and bustle of inner city areas. Whereas where the design has to cater for busy city workers with limited time available a dash and grab a quick lunch scenario may require a different approach. Considering these type of customers will inform the direction of the café design from aesthetics through to the day to day functioning of the café’s space. The way you display your items, menu offering and options could be very important, and a decisive factor in influencing the mindset of your customers. A well-designed menu could indeed become a great way to generate more sales. Displaying delicious baked goods, is also a great strategy to up-sell customers who were maybe only looking for coffee, but ended up craving one of the delicious food items you offer in your establishment! A clean and modern space is often linked to innovation and trustworthiness. The aesthetics, looks, and interior design of your medical practice are important. To have an ambient atmosphere will make patients more relaxed thereby helping them with their wellbeing. 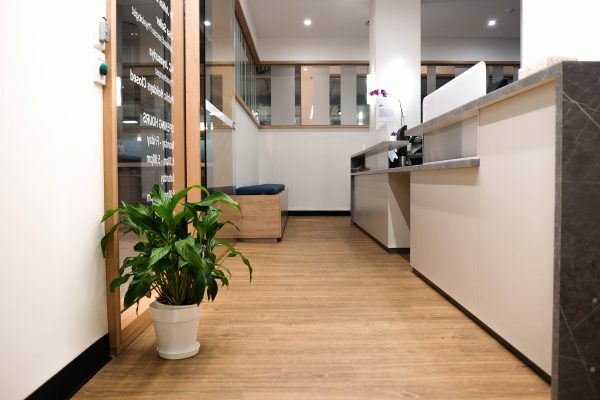 Lighting is actually a very important element in the creation of a professional medical practice space. Through clever lighting solution, task oriented areas like procedure rooms etc can be brightly lit, whereas the consult rooms and in particular the waiting area can have a more subdued and friendly atmosphere to put patients at ease. Further when a medical practice is well designed with consideration given to circulation space, privacy and an engaging reception area it often projects competence but also innovation. Conveying that the latest medical equipment and procedures are part of the practice’s operation. This is an important element to convey to your customers. A great-looking facility should be considered a top priority for a medical practice business. As shown by numerous customer reviews, good design is synonymous with increased patient satisfaction. Do not underestimate the importance of ample personal space. People visiting a medical practise in general may have a slight tendency to be on edge or be concerned about their health as well as other people they have to share the space with within the facility. In hospital and medical facilities, people feel more comfortable to have some personal space and a sense of openness, so a considered design and space planning to create clearly marked areas areas for patients will help achieve a workable and successful facility. As mentioned earlier, it is very important to make people feel very comfortable when it comes to spending time in your medical facility. This is also a matter of information design. It is vital to let people know where they have to be, where they have to wait and where they need to go to get things done efficiently. You can achieve this by the use of seamless and clear signage. Signs located throughout your medical facility can be used to tell people where they can find certain rooms or even let them know about any rules in the facility. It is essential to have clear regulations exposed to the public. Always make sure that everything is as clear is it can possible be, in every aspect of your facility. If your facility requires a waiting room, it is important to understand that nothing should be left to chance in the organization of this particular space. A great waiting room should consider the layout of chairs, magazine stands, drinking fountain, adjacencies to reception and consultation doors. Being able to provide a comfortable seating experience will relax your patients in particular if there is a delay in admitting them to the consultation room. If I could visit one impossible place in my life, it would be inside the mind of Gucci’s creative director Alessandro Michele. I imagine it would be filled with Chesterfield style dusty pink velvet, every animal you’d see on a safari, golden bees and bugs buzzing about, plaid, glitter, blooms, and everything in between. 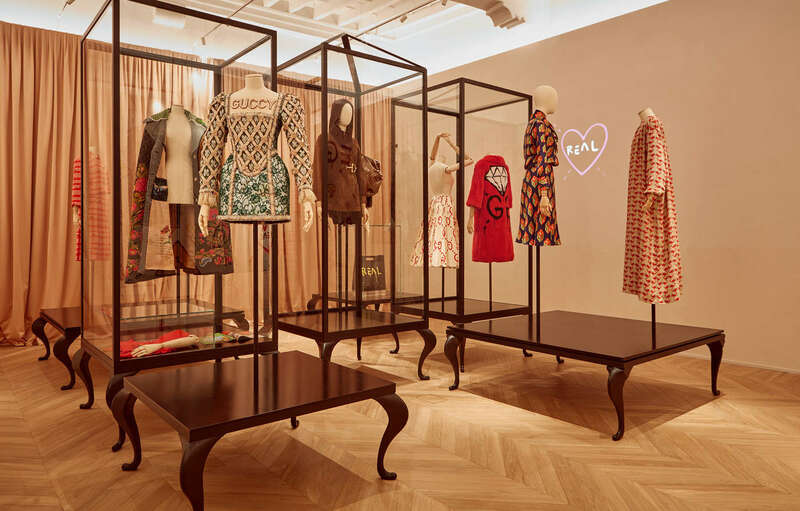 Though the eccentric kaleidoscopic style of Gucci may not be for everyone, you can’t deny that Michele is pushing the boundaries when it comes to fashion and the creative industry. The latest example of this is the dazzling Gucci Gardens located at the Palazzo della Mercanzia in Florence, Italy. Split into a series of themed rooms the Gardens honour the beautifully quirky history of the brand, delving back to its originator; Guccio Gucci. Speaking to British Vogue, Michele said he wanted to create a welcoming, fun, and accessible space, embracing all corners of fashion and design, and paying homage to the city’s secrets and soul. Each room is designed to charmingly compliment what is housed within it. 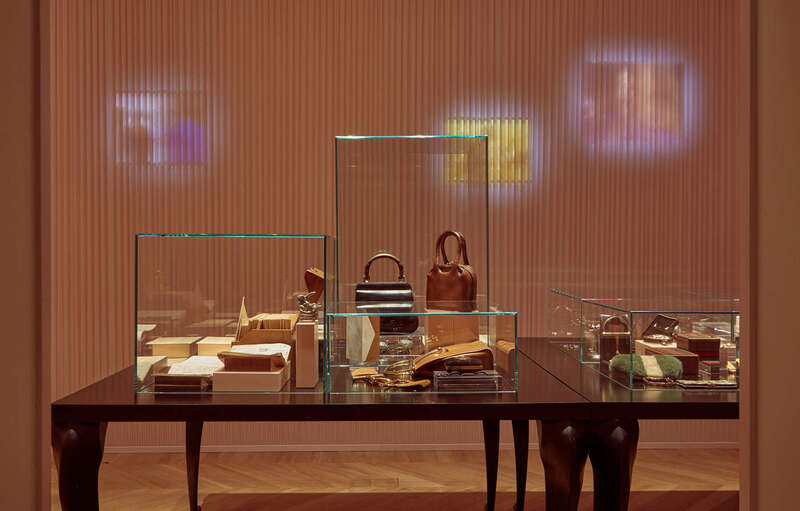 The spaces showcasing clothing and accessories are paired with vintage artworks, dark timber fixtures, digital projections, stunning soft pink wallpapers and herringbone timber floors encapsulating the ‘classic Gucci’ vibe. 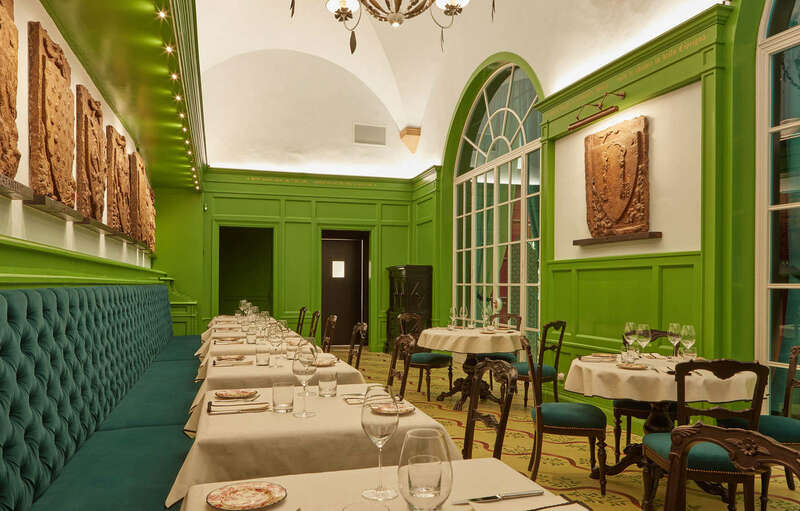 Whereas the café/restaurant (Gucci Osteria da Massimo Bottura) is a lavish, regal experience, with rich deep-sea upholstery paired with striking green paint finishes and antique carpet that will transport you straight onto the set of a Wes Anderson film. 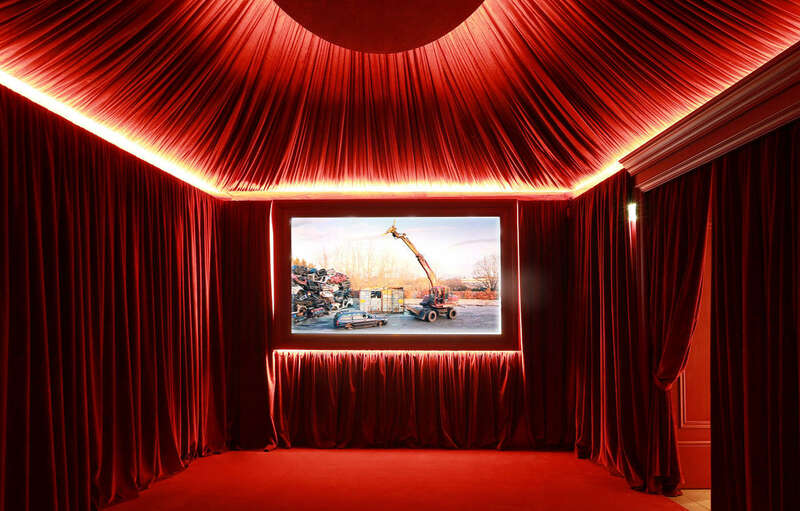 The ‘Cinema de Camera’ space, (a personal favourite- intended for patrons to be immersed in a variation of experimental film), is dripping from every inch in rouge red velvet, enhanced with up-lighting, tracking the ceiling and projection screen. And the trinket/souvenir-esque store has you feeling as though you’ve stepped into a baroque retro diner with marble checker-board floors, creamy mustard walls and magenta and timber displays and counters. 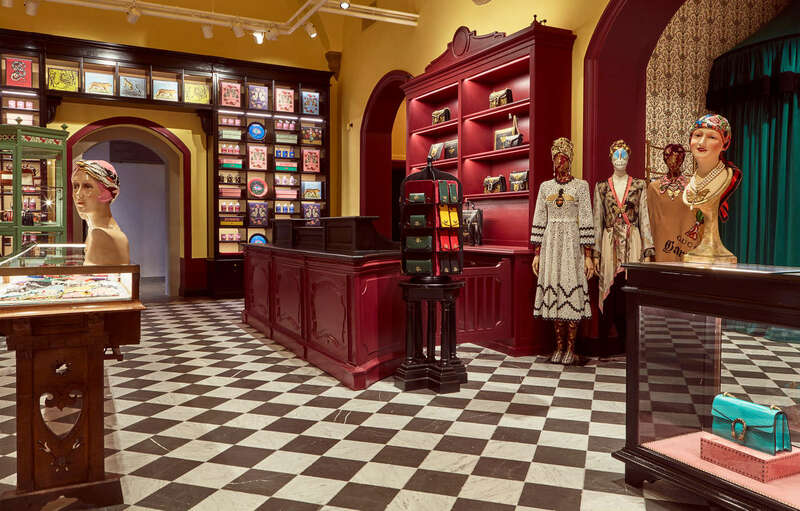 Though each space is a complete contrast to the next, the lush velvety antique motif brings them all together to create a Gucci lover’s wonderland, capturing the essence of the brand from its classic origins to its new flair. Leaving one thinking that perhaps this is the perfect way of experiencing what goes on in Alessandro’s wonderful mind.